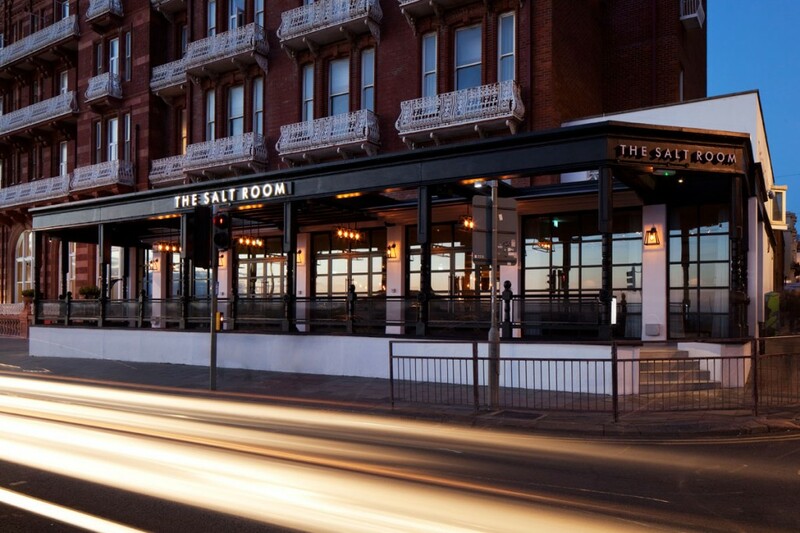 Located opposite the West Pier and with spectacular views across the Brighton seafront The Salt Room is a new seafood restaurant run by the operators of the award-winning Coal Shed restaurant, also in Brighton. 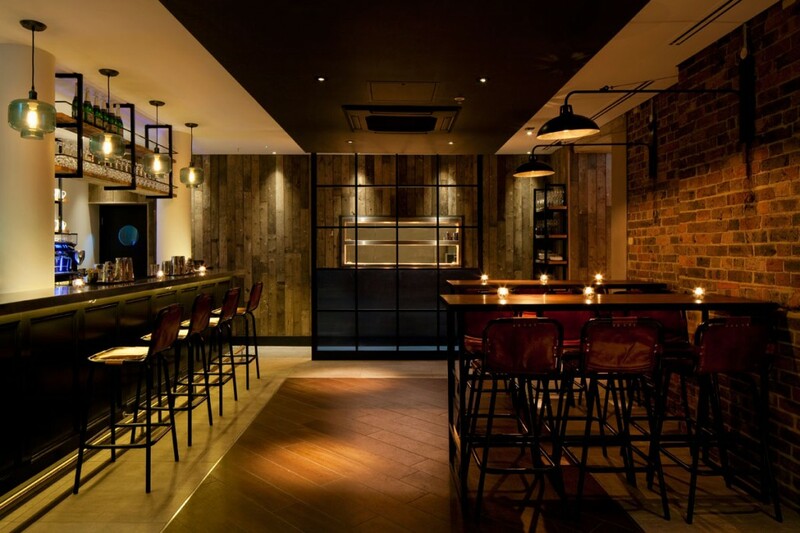 into lighting were appointed as lighting design consultants by designLSM to collaborate on a vision for a stripped back interior, which was to include multiple bespoke feature lighting designed and made my into in partnership with designLSM. 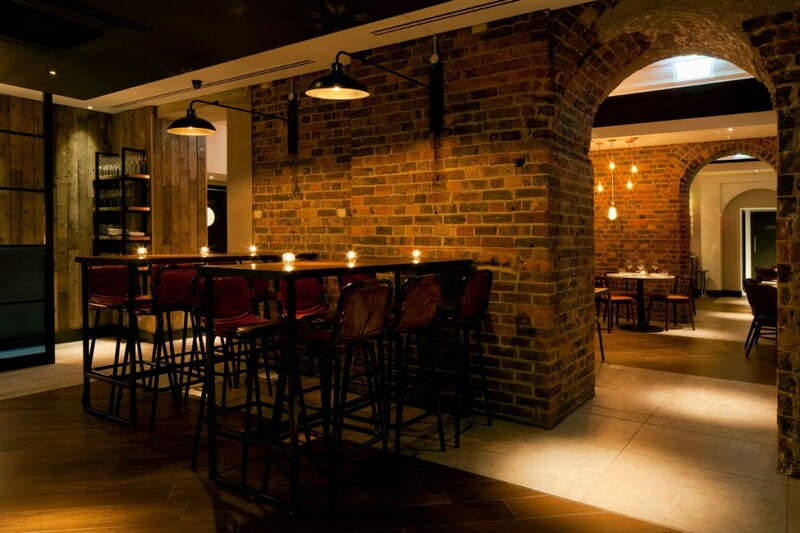 Inspiration for the design and branding of the restaurant came from original drawings of the West Pier at Brighton and the interior is simple, with exposed brick and timber paneling. 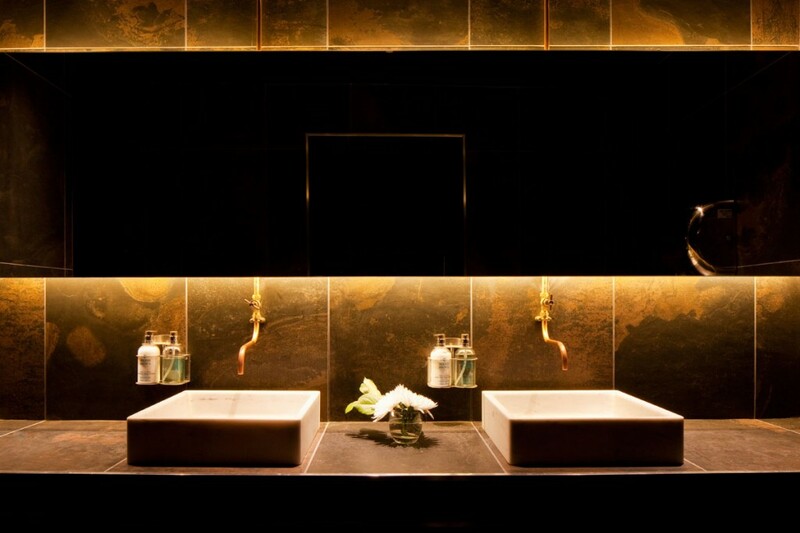 Lighting provides an elegance to the space with polished brass and blackened steel fittings and light washing over the textured wall surfaces. 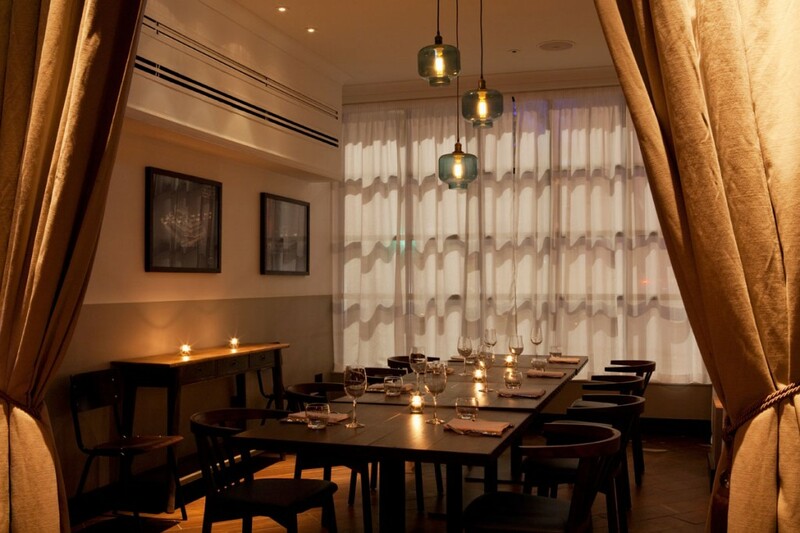 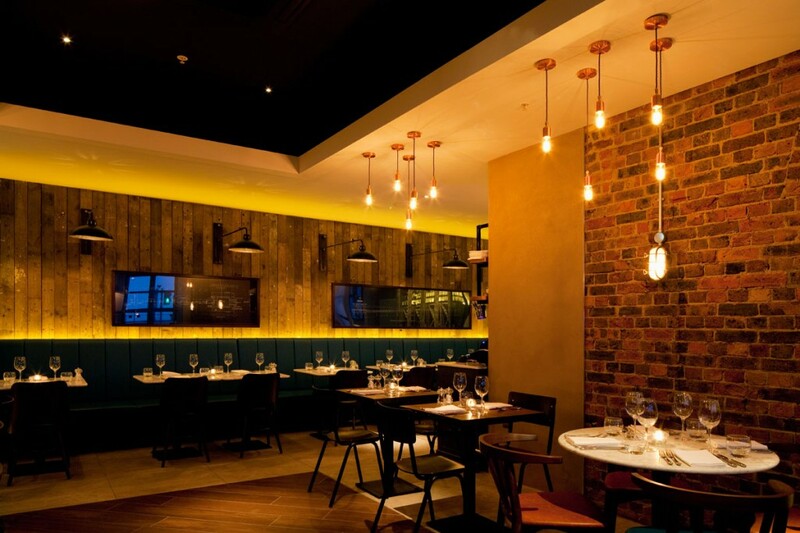 Wall lamps on powder-coated black arms line the brick walls and clusters of filament lamps in brass holders create a warm atmosphere, and draw a sense of intimacy in the space alongside linear LED back-lighting to banquette seating. 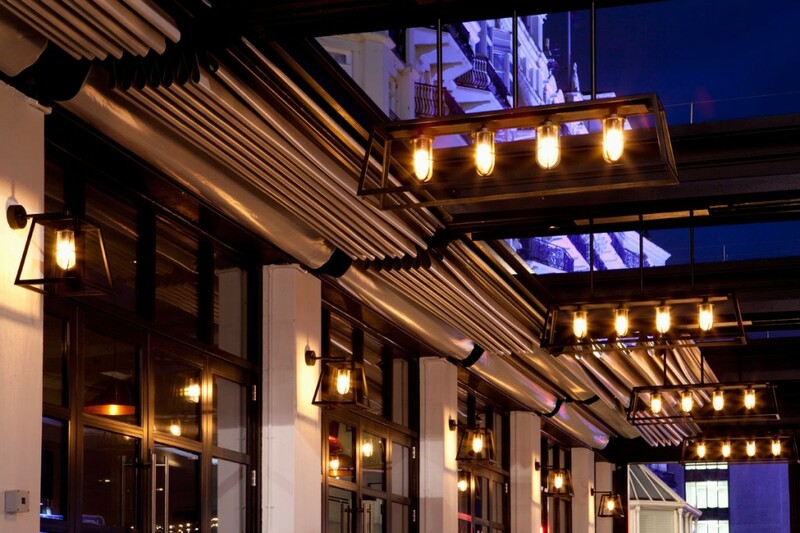 Bespoke-designed metal and opal glass fittings around filament lamps line the outdoor terrace and create a striking feature at night. 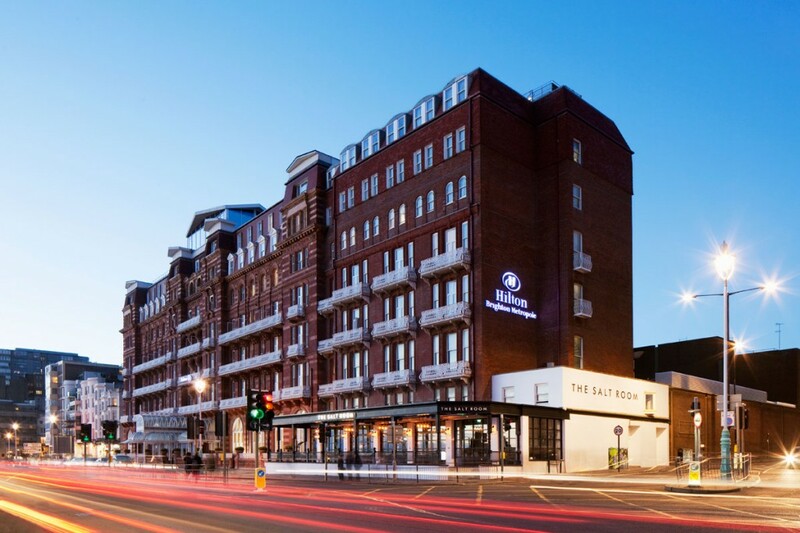 The Salt Room restaurant is now open on the Brighton seafront and specialises in British seafood grilled over charcoal. 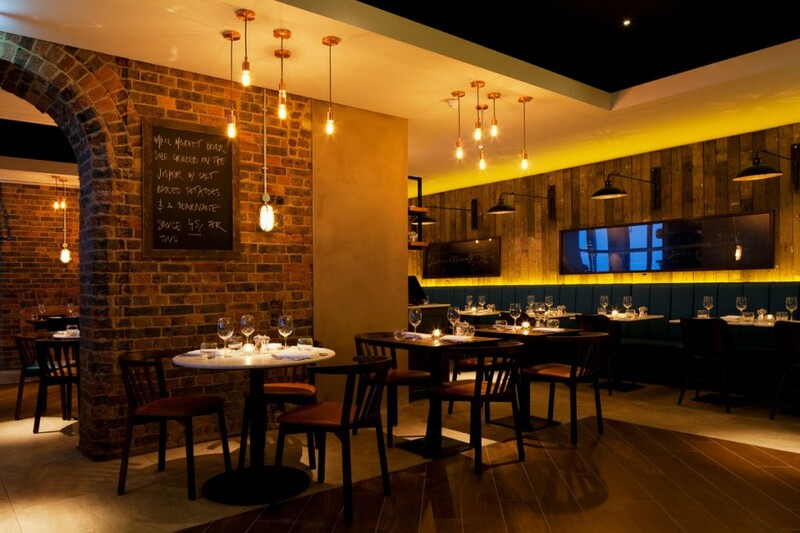 The lighting scheme designed by into lighting is minimal in a stripped-back interior, and creates a simple and elegant atmosphere that is warm and inviting.